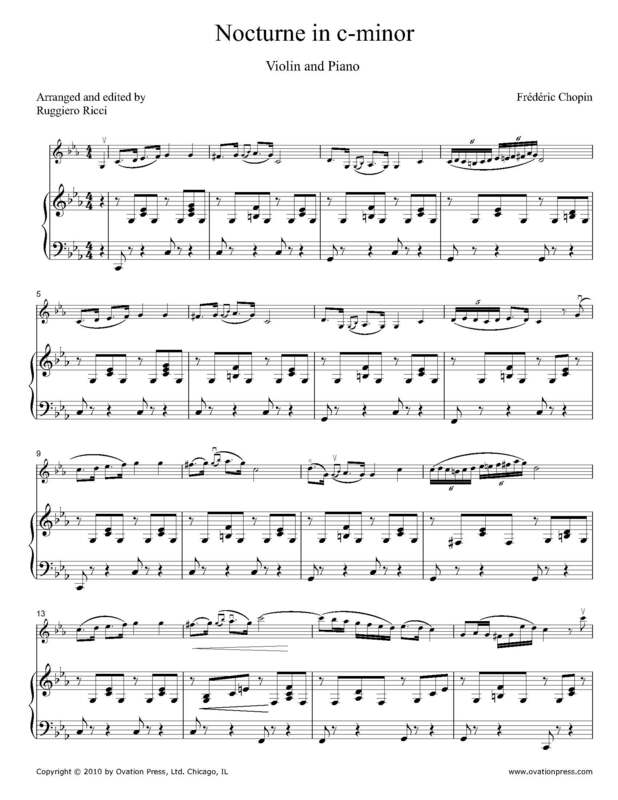 Frédéric Chopin wrote 21 nocturnes for solo piano which are generally considered among the finest short solo works for the instrument and hold an important place in contemporary concert repertoire. The Nocturne in C Minor was composed in 1837 and published posthumously in 1938. Ruggiero Ricci has made a tasteful transcription for violin and piano of this very beautiful and tender nocturne.